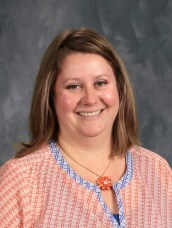 Leanne Nunning has taught at Westside Catholic for fourteen years. She taught first, third, and fourth grade for eleven years. She then became a stay-at-home mom for seven years raising her three children. She is now back at the Sacred Heart Campus teaching Pre-Kindergarten for her third year. "To me being a teacher is the greatest profession. I love working with students of all ages and stages and helping them progress in their education while becoming excited learners!" Leanne holds a B.S. and Masters in Education along with a Minor in Kindergarten from the University of Southern Indiana. She feels blessed to be able to continue working at Westside Catholic School where the families, students,and staff are all very close. Leanne is married to her high school sweetheart and they have three children. In her spare time she enjoys watching her children play sports, spending time with family and friends, traveling, reading, and cooking.